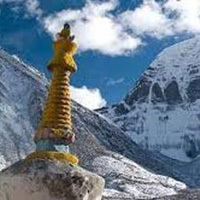 All Required Transportations & Sightseeing As Per Above Listed Trip Itinerary In Nepal & Tibet. Holy Lake Manasarovar Parikarma By Drive. 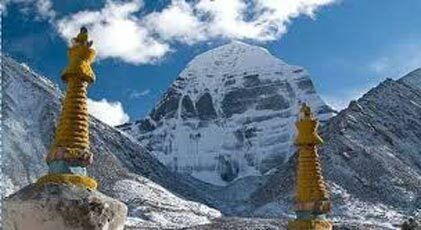 Medical & Hospital Expenses (Incase Sick On The Way Kailash Yatra). In Case Flight Cancel Additional Day Hotel Stay Expenses, International Flight Tickets. Arrival At Kathmandu Airport, Transfers To Hotel, Evening Pashupatinath Arti Darshan & Briefing At Dinner Time, Meal Plain. Manasorovar To Darchen 30 Km. (4560 M):- After B/F Drive An Hour Darchen The Base Camp Of Holy Mt. Kailash. Rest Of Day Free For Acclimatization. & Preparing For Cora/Parikrama.Over Night At New Guest House. Early Morning Drive To Nepal Border, As Soon As Possible Fly By Helicopter To Simikot, Connected Flight To Nepalgunj & Then Same Day Connect Flight Back To Kathmandu Overnight Hotel. Meal Plain.